The working conditions of the teaching staff in JNVs have been rigorous over the years. The staff have been working between 5 am to 10 30 pm an all days, put on duties on second Saturday , Sundays and all Govt holidays . The issue was brought to the notice to our JC (Admn. ), NVS, HQ, New Delhi . 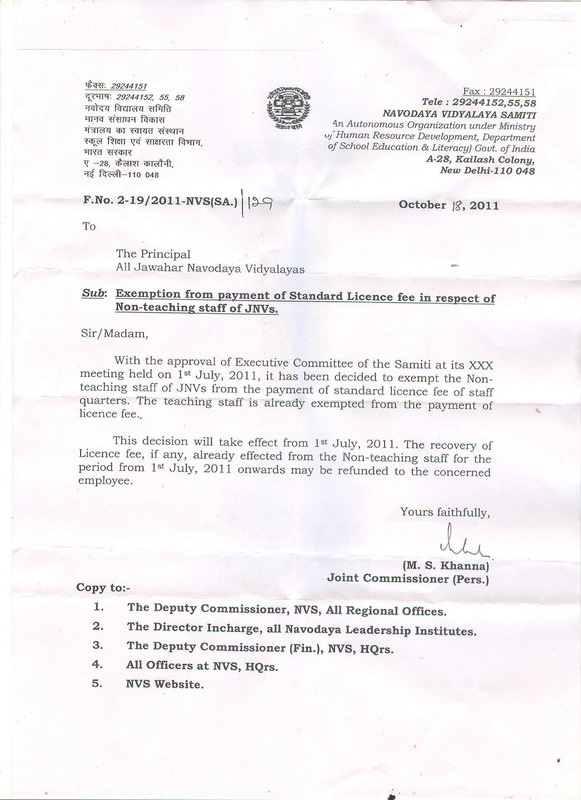 On one side the official version of NVS under RTI act states that the working hours of teaching staff is from 7.15 am to 1.40 pm and on the other hand, NVS has remained a mute spectator to the additional duties given by the Principals of every JNVs to its staff beyond the specified duty hours. It is high time , we approach the Court and file a case regarding the matter. Hence it is requested that the following information may be sent immediately..
i) Duty chart including early morning Duty, Night duty, MOD duty, A/N & Evening supervised study duties, Sunday duties, Holiday duties and any other duties. 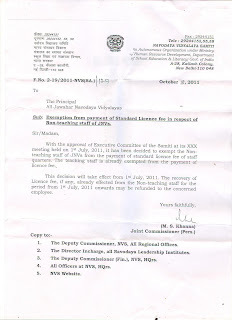 ii) Any Memorandum / advisory note received by any staff in respect of the non-compliance to the above duty schedule.